The Major League Baseball playoff field is set, and Divisional Round Series are set to begin this week in both leagues. Before they get going, let’s take a look at the updated odds to win the 2018 World Series. 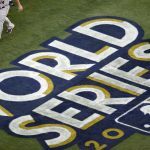 It comes as no surprise to see the Boston Red Sox share the best odds to win the World Series with the Houston Astros. The Red Sox were the best team during the regular season by a wide margin, and will have home field advantage throughout the playoffs. Sluggers J.D. Martinez and Mookie Betts lead the way for Boston on offense, but they have a very talented and deep lineup. The Red Sox have a few question marks on the pitching side due to injuries, but a healthy Chris Sale and David Price could lead the team to another title. The Red Sox will be hard to beat in a best of five or best of seven scenario. The defending champion Astros look like a team primed to make another deep run this season. The Astros have the top starting rotation in the playoffs, led by Justin Verlander and Gerrit Cole. They will have home field advantage against the Cleveland Indians in round one, and should be able to take care of business. Third baseman Alex Bregman had an MVP type season for Houston, and they finally have all of their top players healthy. The defending champs will not be an easy team to deal with this October. The Los Angeles Dodgers needed 163 games to win the National League West, but look like the best team in the National League. Clayton Kershaw and young Walker Buehler give the Dodgers a formidable 1-2 combination in their rotation, and Kenley Jansen is waiting in the later innings. The addition of Manny Machado before the trade deadline should pay huge dividends for the Dodgers in the playoffs, and their offense is starting to look like a championship offense. 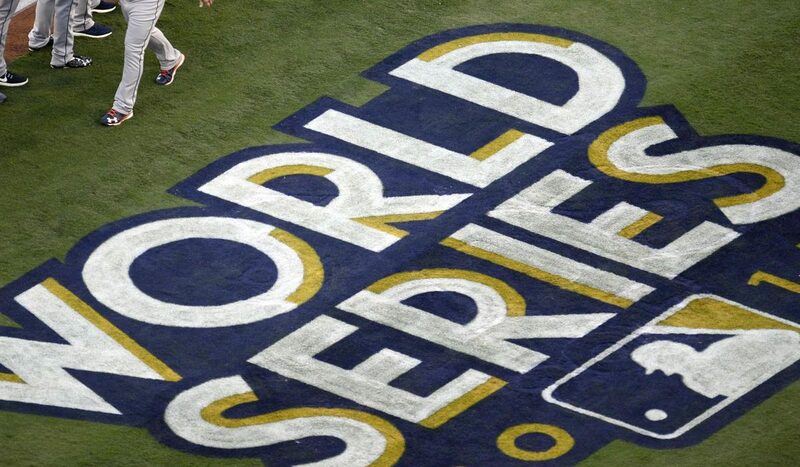 Los Angeles will be looking to reach their third consecutive NLCS and second straight World Series. The Milwaukee Brewers were able to dispatch the Chicago Cubs and win the National League Central division, and in the process finished with the top record in the National League. The Brewers will have the benefit of having home field advantage through the first two rounds. Milwaukee has a ton of question marks with their starting pitching, but their bullpen has shown the ability to carry the team. 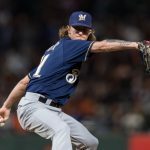 Flamethrower Josh Hader will be called upon early and often in the playoffs, but the Brewers have a ton of outstanding bullpen arms. NL MVP candidate, Christian Yelich leads a Brewers offense that has a ton of confidence heading into October. The Cleveland Indians were kind of the forgotten team all season long, but they still feature a strong rotation and two dynamic hitters in their lineup. Corey Kluber is once again the ace of the staff and pitching like a Cy Young candidate. A big question mark for the Indians will be the health of Trevor Bauer. On the offensive side, Francisco Lindor and Jose Ramirez give the Indians two terrific hitters that can do multiple things. Don’t sleep on the Indians this year. The New York Yankees have slugged their way back into the American League playoffs and will now get a shot at their hated rival, the Boston Red Sox. The Yankees will be without their ace, Luis Severino, for at least the first two games after he was needed to pitch in the AL Wild Card Game. Aaron Judge and Giancarlo Stanton lead the Yankees offense, but their lineup is full of feared sluggers. If they Yankees can get by the Red Sox, they could be the team to beat in these playoffs. The Atlanta Braves were not supposed to be a playoff team in 2018, but their young lineup had other plans. Rookie Ronald Acuna Jr. and second-year man Ozzie Albies had terrific regular seasons to lead the Braves to an NL East title. Hard-throwing Mike Foltynewicz gives the Braves a legitimate number one starter, and Atlanta also has a terrific bullpen. Don’t be surprised if the Atlanta Braves give the Dodgers all they can handle in the first round of the playoffs. The Colorado Rockies earned their way into the field with a thrilling 13 inning, 2-1, victory over the Chicago Cubs in the NL Wild Card Game. 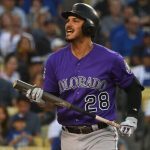 Nolan Arenado and Trevor Story give the Rockies a solid 1-2 offensive punch in the middle of their lineup. Young pitchers German Marquez and Kyle Freeland have emerged as top of the rotation pitchers for Colorado to give this team a chance. The Rockies face a tough Brewers team in the first round, but they seem to be playing with a ton of momentum heading into October.